In this video, Tapemark Engineer Karl Zwiefelhofer discusses our process development. Here at Tapemark, our engineering team has years of experience working with the latest technologies which allows us to provide a high quality part, reduce waste and downtime, and offer the best possible price. Watch the video to learn more! [Transcript] "Hi,my name is Karl Zwiefelhofer. I'm an engineer here at Tapemark. Today, I'm going to talk a little bit about our process development. So our engineering team has years of experience working with the latest technologies. And so what does that mean for you as a customer. 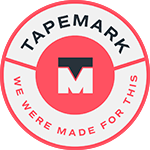 Well, when working with Tapemark we can draw on that experience, and those technologies to design a process that's going to suit your product the best way possible. Using our technology and our experience, we can convert basically any produc tthat is in a flexible web format. By involving Tapemark in your product development life cycle, we can help you identify certain materials or technologies that are going to provide the best quality product possible that's going to produce a high quality part, reduce waste and downtime,and then ultimately provide the best cost possible for you as a customer. Thank you."